It's here! 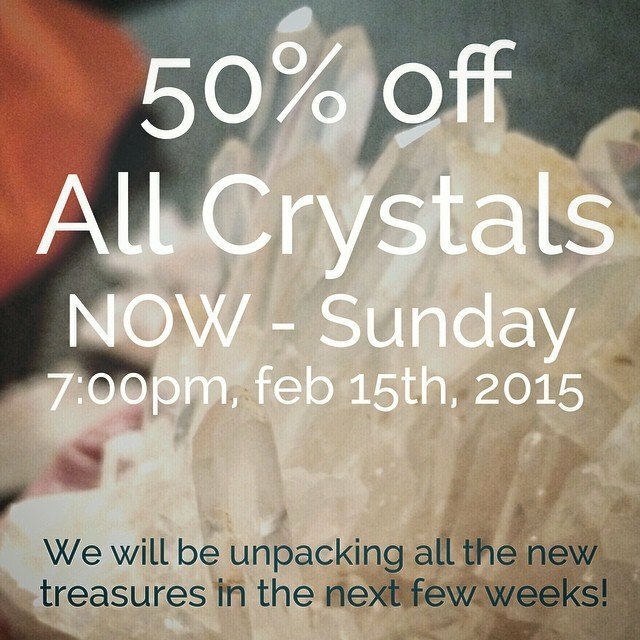 Biggest crystal sale ever, and the big ones are going fast! 24 hour holds, all sales final, ends this Sunday. All our new treasures will be making their way into the store after that! We can't wait!